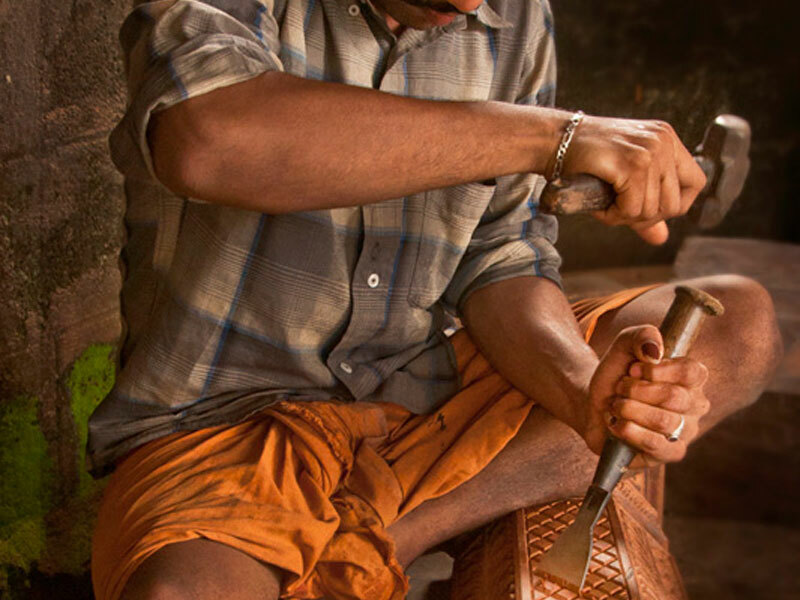 The place Udupi is a hub for many of the traditional crafts like Woodcarving, Stone carving, Bhuta (Cult) figures and Metal Casting due to its historical background. 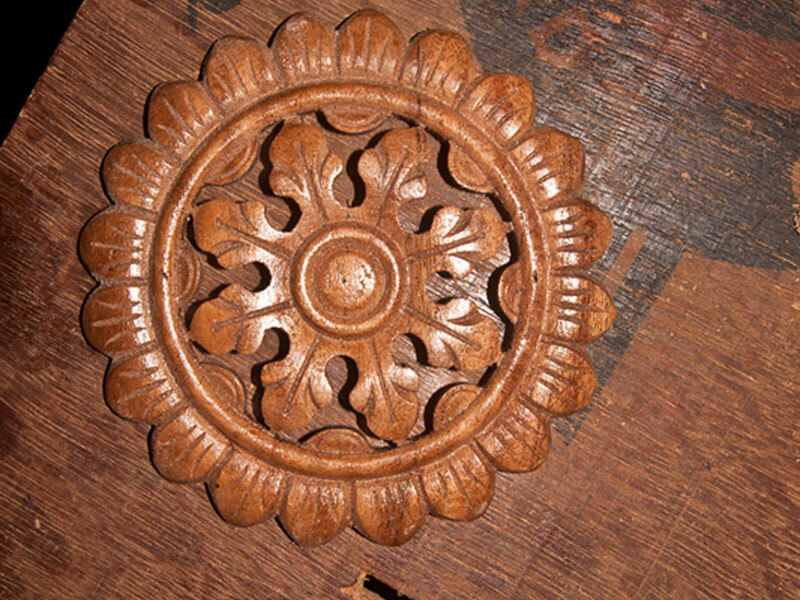 Wood carving is Karnataka’s one of the oldest crafts and well known for sandal wood carvings and many other varieties of wood. Since many parts of Karnataka is covered by dense forests and provides abundant raw materials i.e. 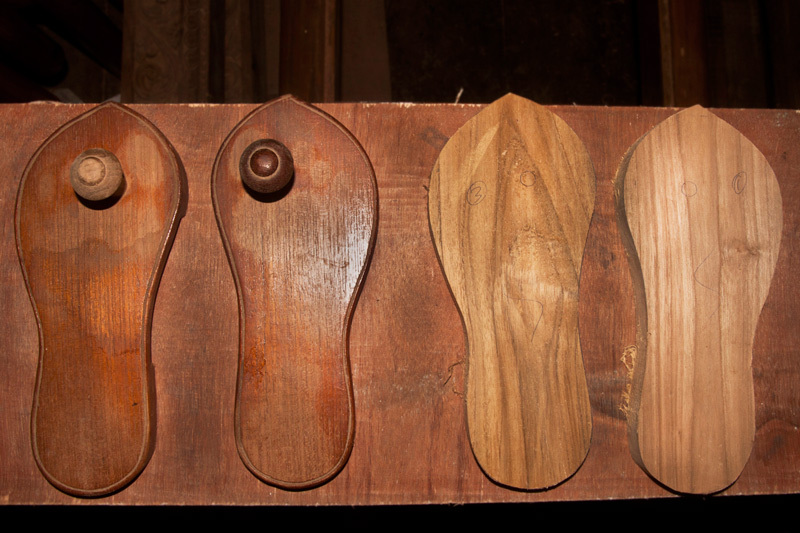 jackfruit wood, sandalwood, teak wood, white wood and rose wood. 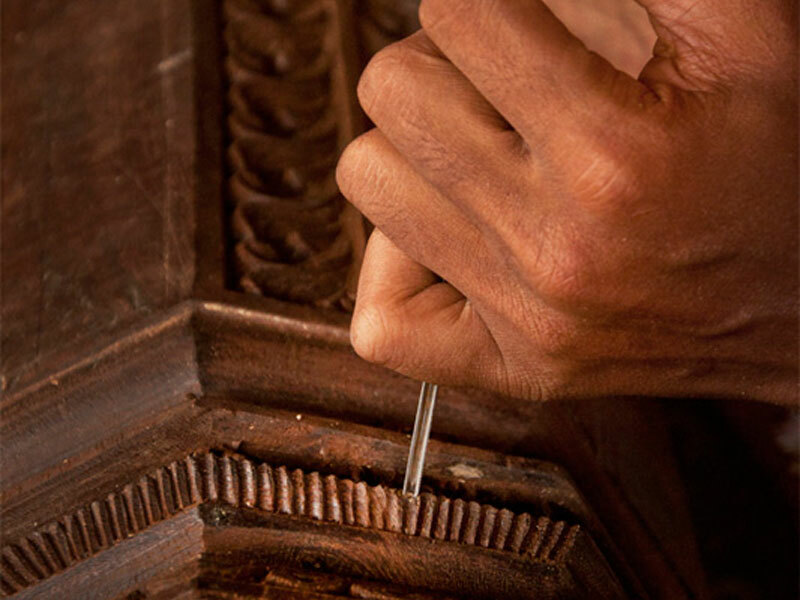 Woodcarving is traditionally practiced in Karnataka from ancient time, from old temples to the present date temples. 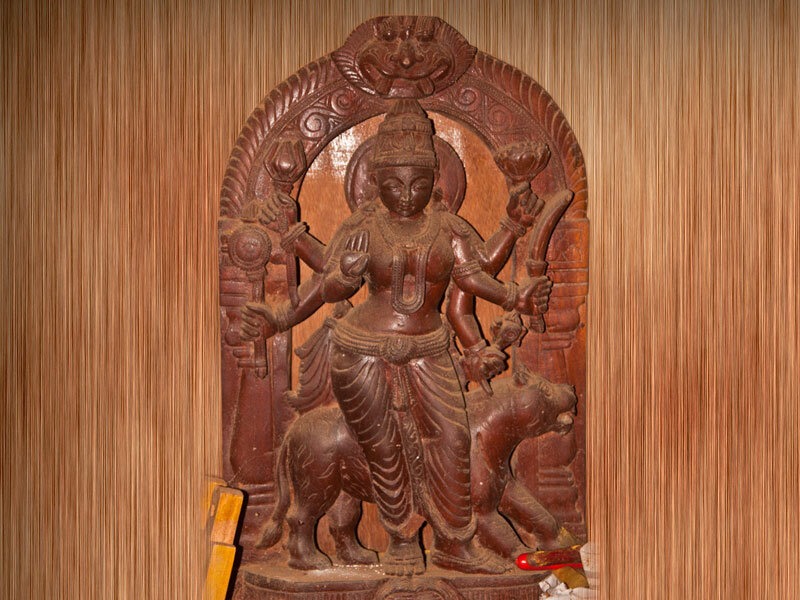 It is believed that the craft was developed in the ancient temples, used in making of huge Ratha (Chariot), Doorframes, Pillar works and huge Mantapas (Pergolas). 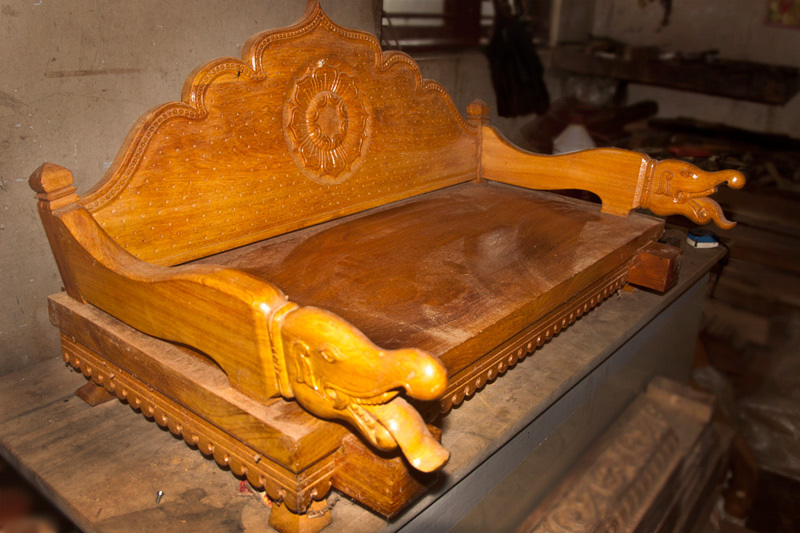 The senior wood artisans of Udupi are specialized in creating classic stylized motifs those are inspired by nature, epics like Ramayana and Mahabharata, great legends, flowers, creepers, birds and animals. 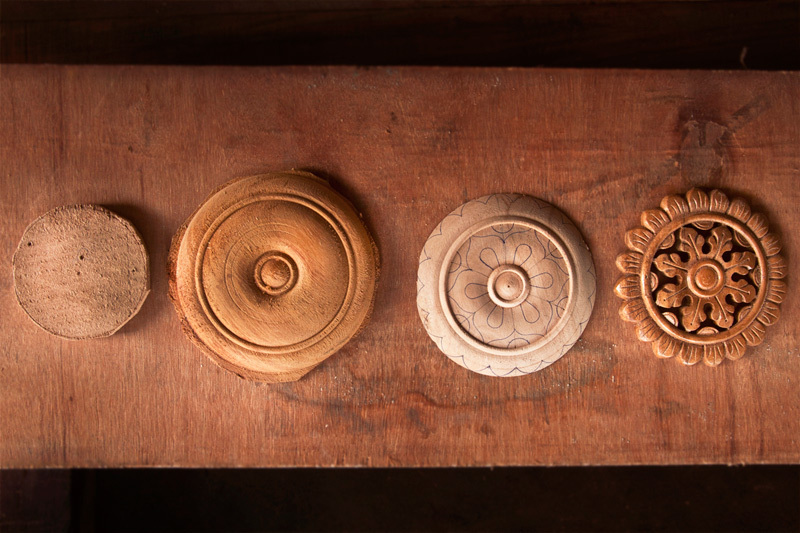 Skilled and experienced artisans follow the rules of Silpa Sastra which has rules and guide lines for the traditional art. 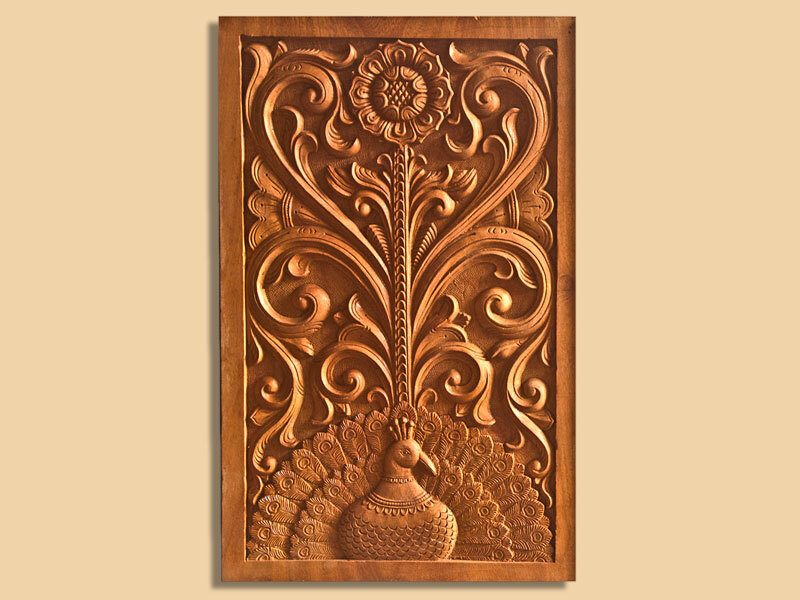 The decorative wood art style is inspired by Hoysala (A dynasty of Historical Karnataka) which is well known for its finest ornamentation work and for graceful sculptures. 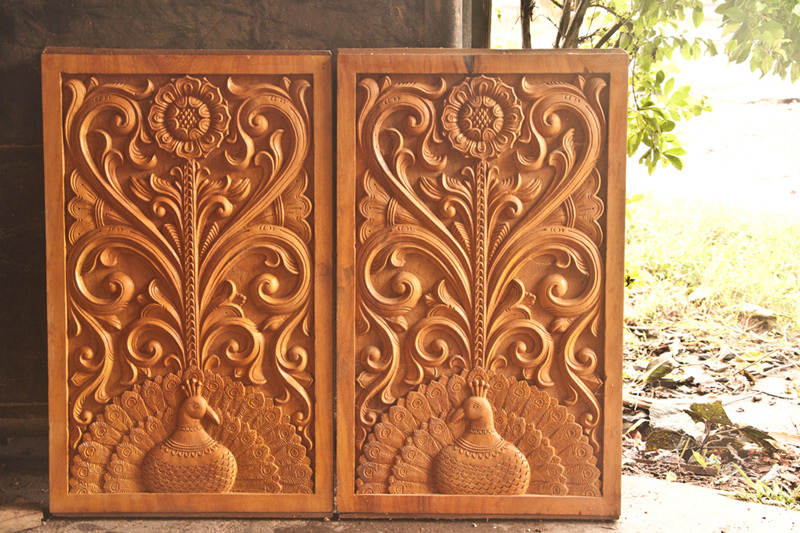 The themes of doorways, door panels, archways can be seen portraying nature life with birds, animals, lotus flowers, buds and creepers. 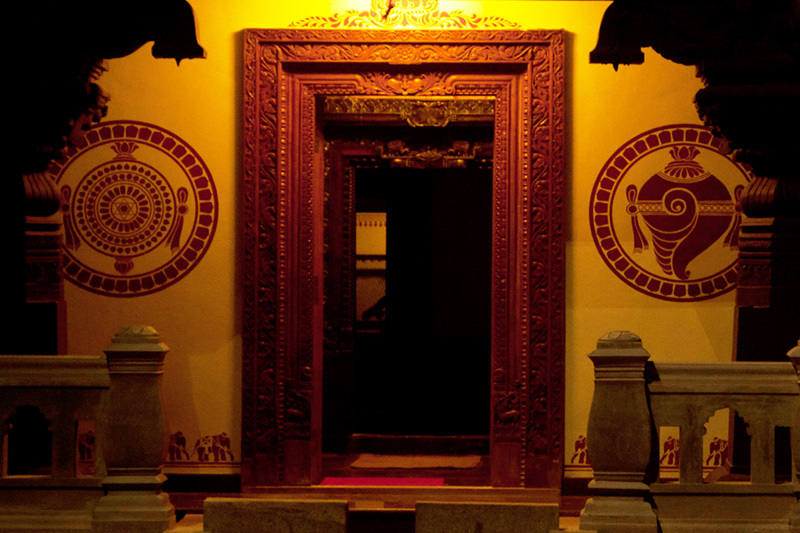 Adoring Bas-Relief work done on the pillars represents their passionate artistic aspect. 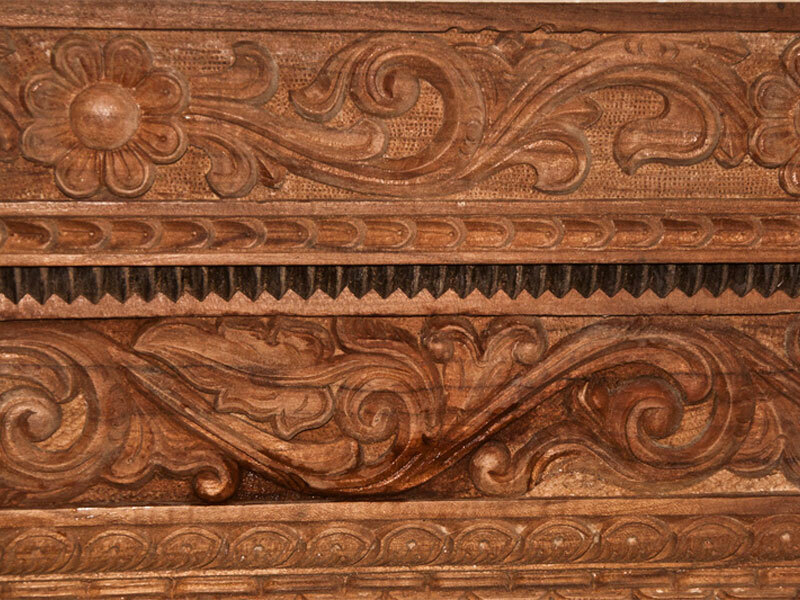 Few pillars are carved beautifully with combinational geometrical patterns to obtain embossed diamond effect. 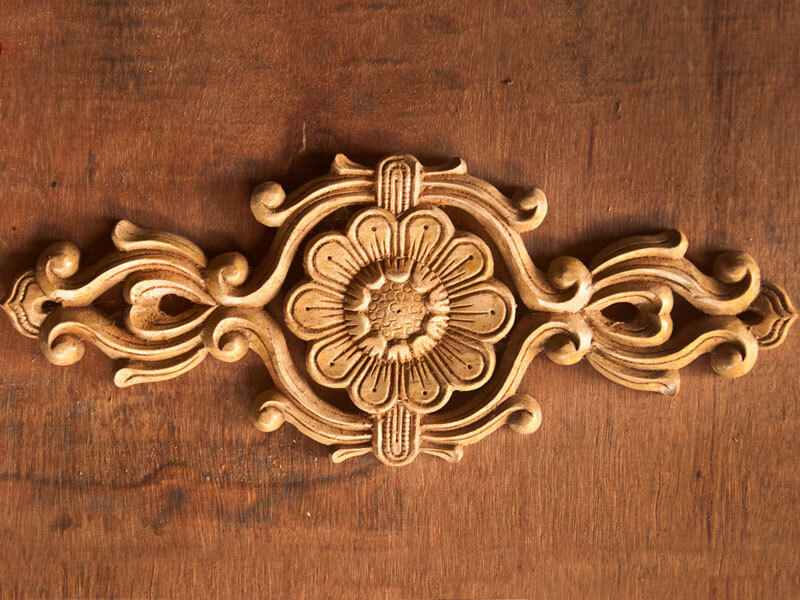 Attractive doors with curving stems and leaf designs, wooden padhuka-sandals, sacred idols of gods and goddesses include in the product collection.